As per India’s latest census, an estimated 2.21 per cent of India’s population suffers from disability. As per the official figures by the Planning Commission and the World Bank, India has a population of 5 per cent or more who are suffering from disability. It is interesting to notice that owing to India’s large population, even the lowest estimate of disabled population makes it equal to the combined population of several European countries. Despite having a population with significant percentage of persons with disabilities (PwDs), it is unfortunate that India offers them limited opportunities for participation in social and economic process. As stated by a report by International Labour Organization (ILO) in 2011, 73.6 per cent of the disabled in India are still outside the labour force. While some employers have recognised the potential that PwDs can bring along, most of them are still sceptical about hiring them and it prevents them from tapping into the vast pool of resources. One of the main hurdles in promoting equal employment opportunities for people with disabilities is the lack of sensitivity and awareness. One education policy that fits all is clearly a misfit. Illiteracy is a major challenge in India. Around 60,000 children with special needs drop out of school due to lack of conducive environment and lack of infrastructure, and specially trained teachers. Adding to the lack of an education policy that supports the PwDs, the inaccessibility to infrastructure, public transportation, tools and equipments to perform regular tasks restricts PwDs from taking up jobs. Compared with the situation in 2011, India has done a commendable job in improving the accessibility for PwDs in the recent years. But a huge amount of work which is still left undone. Unlike the metro rails which are built in accordance to offering accessibility to the disabled people, the passenger trains need to be upgraded and made disabled-friendly. Two years after the launch of Accessible India campaign, only 3 per cent of buildings have become accessible. Only 52 buildings from the audited 1,662 public buildings have been retrofitted and made disabled-friendly. Data and facts definitely prove that there is a humongous talent pool that lies untapped majorly because of the societal attitude and the lack of bureaucracy to address it. With the passage of Rights of Persons with Disabilities Bill, 2016, there is an increased opportunity for corporate support and engagement with the differently-abled. The time is just right for the creation of an inclusive environment. Although, Corporate Social Responsibility (CSR) agenda remains a major contributing factor for employing PwDs by private and multinational companies, more companies are realising the benefits. IT majors such as Tata Consultancy Services (TCS) and Wipro are the biggest private sector recruiters of specially-abled persons. Few other companies that have an exemplary inclusiveness policy are—Titan Industries, Shakti Masala, iMerit, Ruralshores and e-commerce giant, Flipkart. Various countries lead by example in implementation of affirmative actions that has resulted in tangible outcomes and increased employment of PwDs. The Council of the European Union in 2000 had asked its members to draft policies for the employment of PwDs by 2006. Similarly, Brazil and Israel have also promoted affirmative actions through skill development plans. Moreover, they also introduced anti-discriminatory laws that rendered discrimination on the basis of disability as illegal. Some other examples are countries like Germany, Japan and Australia that have imposed schemes like quotas, funding for employment-related accommodations, workplace modifications among others for inclusion of PwDs in public and private sector enterprises. The idea of supporting employment by first hiring and training, is rewriting the belief that disabled people cannot perform tasks required for a job. This person-centred model has thrown open the doors for the PwDs across the world. 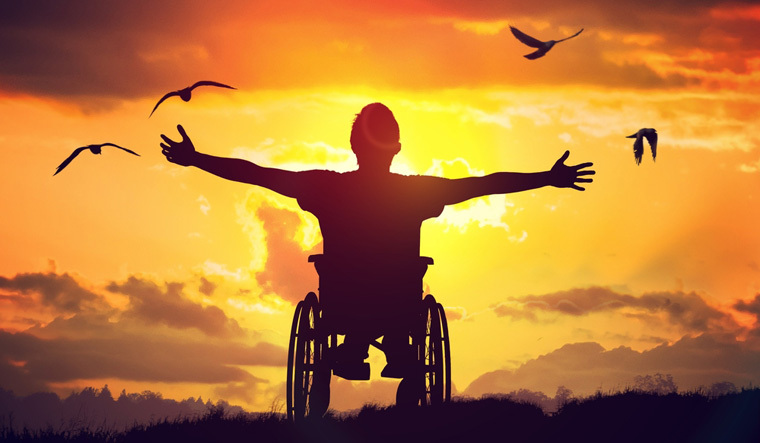 There is a huge call for change in the mindset of India Inc as the challenges faced by a person with disability does not stem from their disability but actually from the negative perception of others. Many organisations and NGOs are working towards creating awareness and changing the attitude towards PwDs. To further strengthen the adherence to affirmative action, corporates need to have a comprehensive HR policy with explicit mention of employment of PwDs along with due emphasis on a strict anti-discrimination policy at the workplace. The adoption and practice of affirmative action by India Inc in tune with their CSR policies are pivotal in securing the rights of PwDs for skill training, employment, and inclusive development. An inclusive society is the one that doesn’t let differences become barriers and accepts them as part of human diversity. Every person with disability has an absolute right to such an environment and be recognised as part of a diverse society.